This week, the Paris Peace Forum convenes, marking the 100 year anniversary since the end of World War I. It highlights the importance of global cooperation, peace, and good governance for a threatened planet. Antarctica2020- an initiative that brings together a group of thought-leaders from around the world working to secure the strong protection of 7 million km2 of Antarctica’s Southern Ocean by 2020- is one of 150 governance-focused projects that have been selected to present their work. Antarctica showcases the power of peace, solidarity and multilateralism in an otherwise fractured world, providing a powerful reminder that nations can find common ground in the face of global crisis and work together for peace, science, and the benefit of all. In 1959, at the height of the Cold War, the signing of the Antarctic Treaty was a remarkable feat of global governance. Twelve nations came together and agreed to demilitarise this vast continent, establishing the architecture of an international legal regime underpinned by peaceful co-operation and freedom of scientific research that has since been built upon and reinforced. 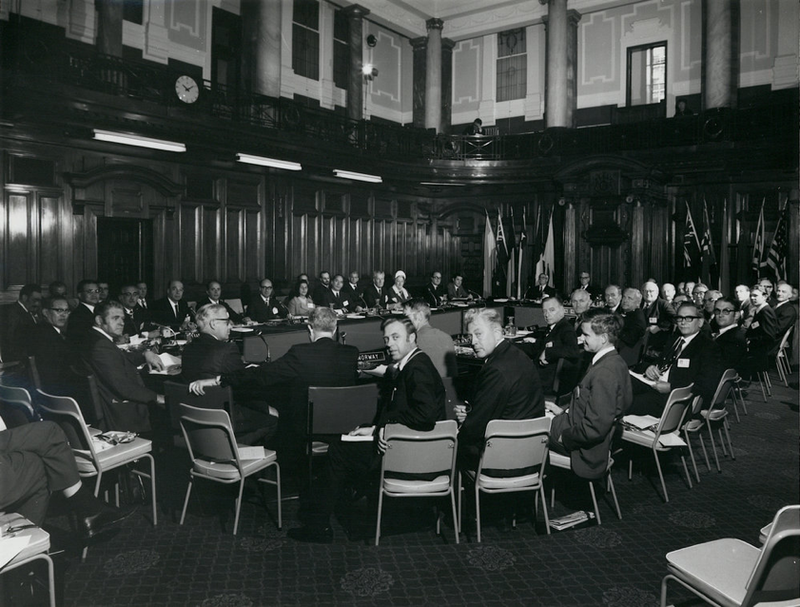 With their heads turned towards a future of peace and solidarity, 12 states sign the Antarctic Treaty in 1959 (Photo from Antarctica New Zealand Pictorial Collection). Yet today, we face another global challenge. The existential crisis that dominated the Cold War – nuclear armageddon – has been replaced by another: human-induced climate change and biodiversity loss, which is already beginning to significantly disrupt life on Earth. 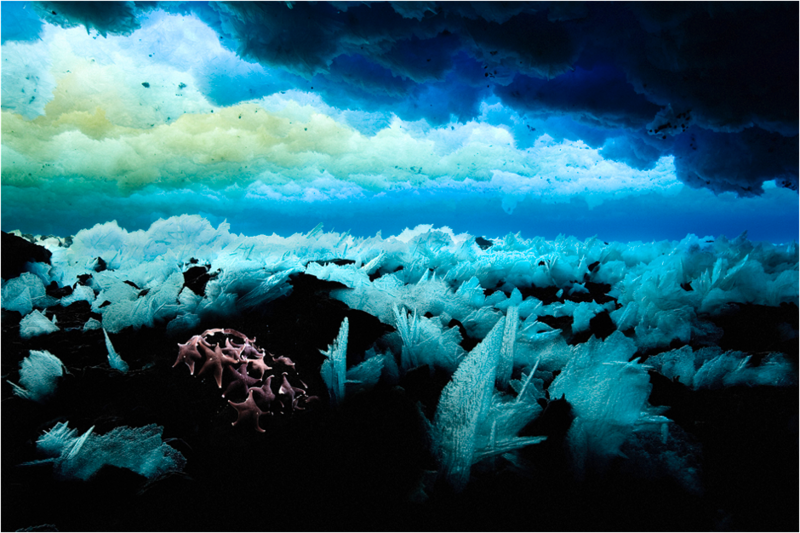 Antarctica and the Southern Ocean are on the frontline of climate change. Our 7th continent and how we all work together to bolster its natural arsenal to fight climate change can be a beacon of progress for our planet. Ensuring its protection is a fight we must win. Already, we are seeing the impacts of climate change take its toll on the region. Scientists recently discovered a worrying feedback loop in which melting glacial ice sheets will accelerate the rate of ice melt and global sea level rise. Just last week, the Pine Island Glacier in West Antarctica lost enough ice to cover Manhattan five times over. Meanwhile, penguin colonies are collapsing. The tiny krill that underpin the Southern Ocean marine ecosystem and act as an important carbon sink are under threat from melting sea ice and overfishing for health supplements and farmed fish food. The power of these small but mighty climate fighters cannot be underestimated. Antarctic krill feed off plankton on the surface and dive down deep, injecting even more carbon to the ocean floor when they excrete their waste. It has been estimated that they help sequester the equivalent amount of carbon that 35 million cars emit each year. Our biggest ally in the fight to combat climate change is nature. Investing in nature, so it can regenerate itself and help us build resilience to change, is one of the most cost-effective, timely and fiscally sound steps that we can take. And investing in marine protection, particularly in the international waters of the high seas and Antarctica’s Southern Ocean, which are our joint and common responsibility, will pay us back with significant positive planetary dividends. Indeed, the latest science tells us that we must strongly protect at least 30 percent of the Ocean before 2030 if we are to remove stressors, revitalise marine biodiversity and build resilience to climate change. Currently, only 2 percent of our ocean is fully protected from extractive and destructive activities. Just ten days ago, the 25 governments (24 plus the European Union) responsible for ensuring the conservation and sustainable use of marine life in the Southern Ocean met for their annual decision-making gathering in Hobart, Australia. Despite a commitment made in 2009 to create a network of marine protected areas by 2012, they are six years behind schedule, failing us in their stewardship of this global commons. 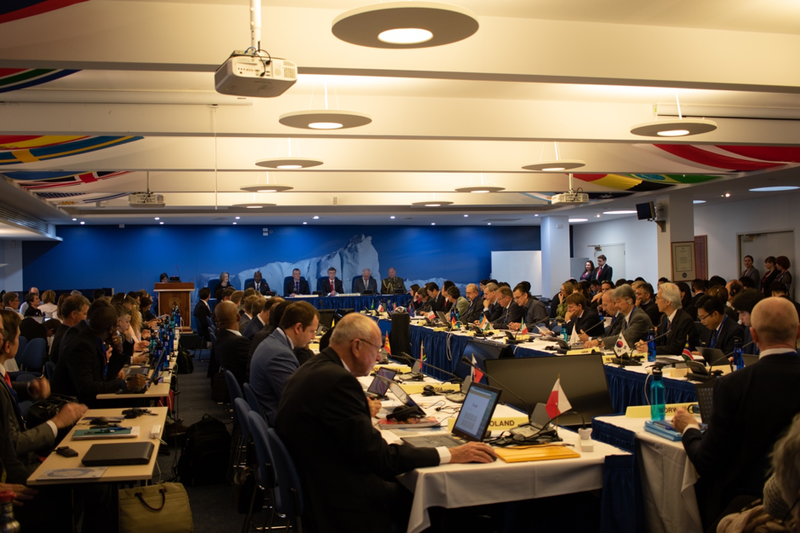 Just a few countries prevented the required consensus to drive the spirit of Antarctic collaboration forward. In 2016, we witnessed the spark of potential when governments protected Antarctica’s iconic Ross Sea, establishing the world’s largest marine protected area. But as we approach the 200th anniversary of the discovery of this vast continent by Russian explorers in 2020, bureaucratic wrangling seems to have weakened the bold Antarctic spirit of collective multinational action. 24 countries and the European Union meet in Hobart, Australia last month for the Commission for the Conservation of Antarctic Marine Living Resources (photo by Kimberley Collins/Antarctic and Southern Ocean Coalition). Antarctica can be the stage for global co-operation to mitigate the threat of climate change, as it was for solidarity at the height of the Cold War. Countries must deliver on their commitment to protect the Southern Ocean and take urgent action to strongly protect at least 7 million square kilometres of the Southern Ocean before 2020. Realising a network of marine protected areas in the region would be a significant step towards protecting at least 30 percent of the global ocean. It would boost ocean protection by an order of magnitude greater than anything achieved before, and would be a serious contribution to global efforts to combat climate change and biodiversity loss. Antarctica is the only place on Earth where there has never been war, where the continent is fully protected, and where scientific research is a priority. The ocean that surrounds it should be afforded the same privilege. Leaders attending the Paris Peace Forum can engage now to break the impasse of inaction in protecting Antarctica’s great Southern Ocean, building on the spirit of the Paris Climate Agreement, igniting positive action and shoring up our planet’s natural defences so that it can help protect us. As we mark 100 years since the devastation of the world’s first global conflict, Antarctica2020 urges leaders to work together to mobilise action to protect this iconic shared commons, and provide a lasting environmental legacy for future generations.